Holy cow! I forgot to flip March over, to show October. Ugh! and the calendar is already put together. Well, here is October, bound. This calendar was super easy and fast, to get together. 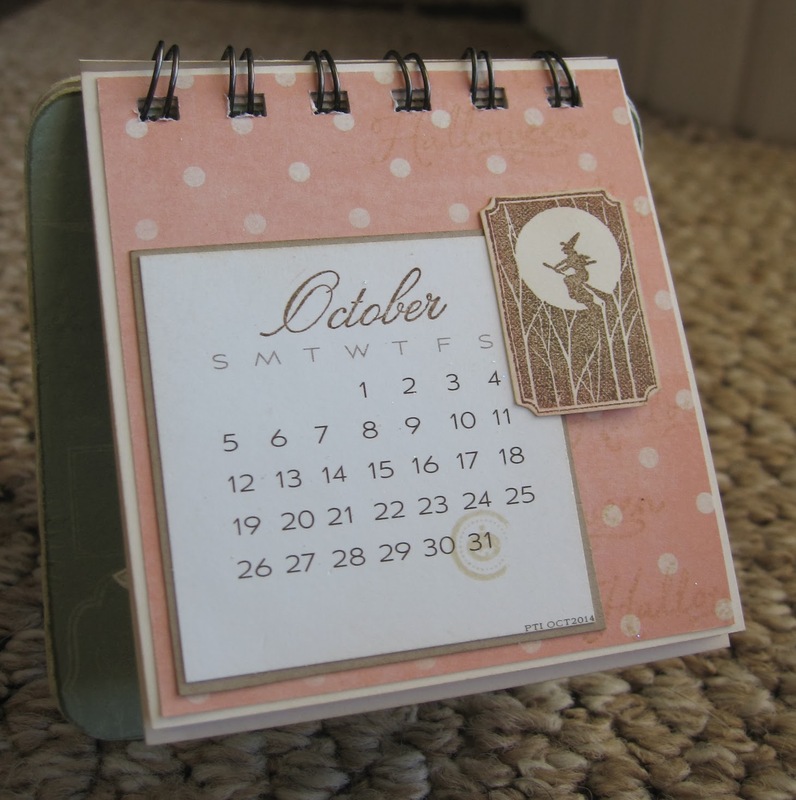 For October, I stamped 'Halloween' in a soft fine linen ink color, onto the pale pink polka dot pattern paper. I stamped the witch 'ticket' in soft suede classic ink. I used a super heavy vanilla card stock for each main page. The pattern papers came from Lost & Found - Market Street. 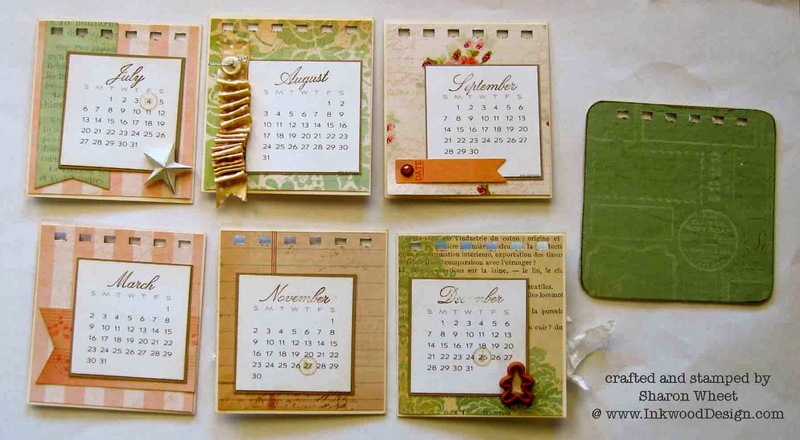 I matted the calendar pages onto crumb cake card stock. I sponged linen distress ink on the calendar matts. I stamped the months in soft suede classic ink. The little 'reminders' are stamped in linen distress ink, too. They mark St. Valentine's Day, Halloween, Easter, Independence Day, Thanksgiving, and Christmas. Thank you for looking. I will post an image of each month, soon. 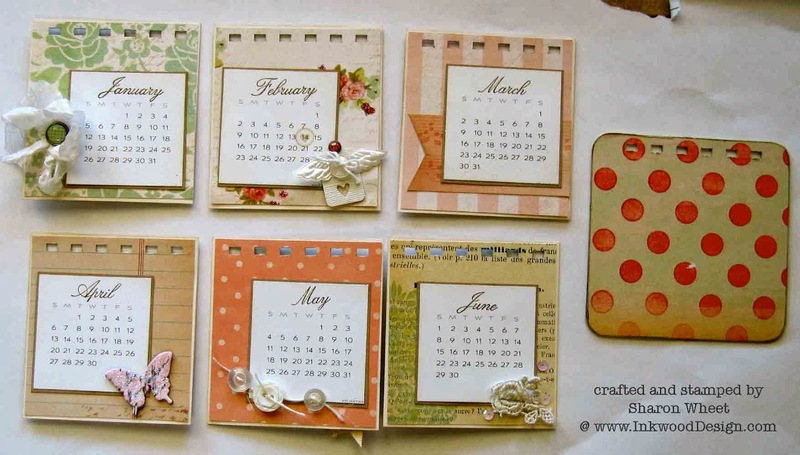 What a great calendar you made for your friends! 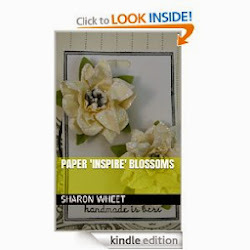 I love the look and the softness, and the distress ink! 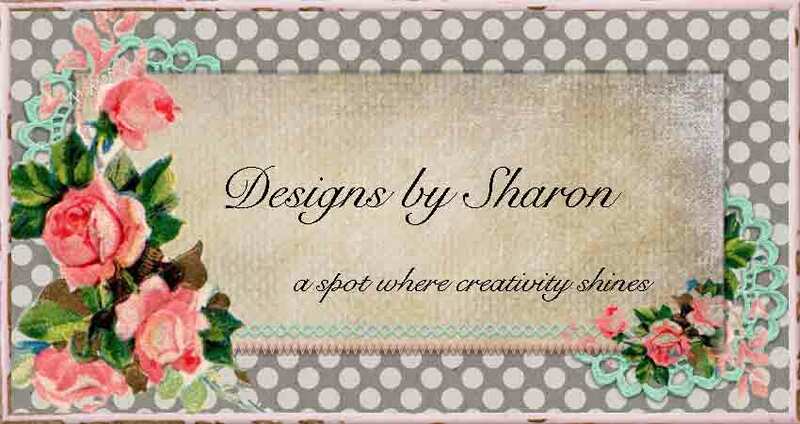 Thanks so much for the kind visit today and comment on my stamp room! i am glad you found the info helpful, as it is such a fun thing to share!